Look what my store had today!! Both the Jewelled Magenta and Poseidon CRB’s! No Poseidon Define Jacket yet but I’m hoping it uploads tomorrow along with both these CRB’s to US and Canada. The colors are gorgeous and saturated and the material is the same soft and silky luon as the Heathered Jewelled Magenta Define jacket. 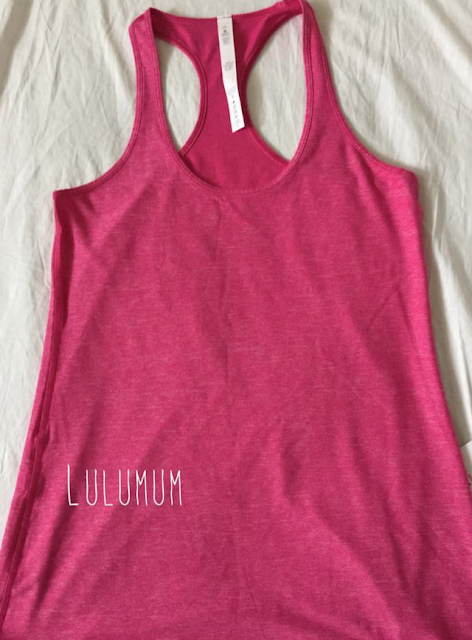 "Product Drop Monday: Ace Dress"
Canadian stores. My store (Coquitlam), Metrotown and I know the Halifax store has them. I'm thinking it's all Canadian stores today and probably US stores. Ooo…are these the thick cottony feel or more like the silky print CRBs? Thanks – you just took them off my list. I have a couple of the silky ones and never wear them. They are definitely more silky feeling. Not thick and cottony but still soft/silky. You are welcome! no point getting something you aren't going to wear. 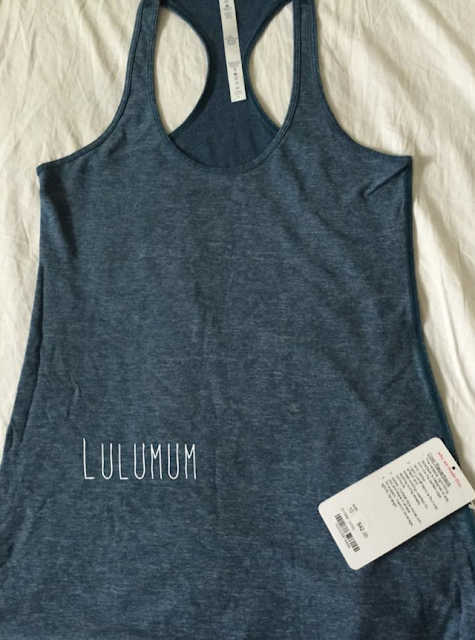 When you say silky – is that the feel of the lullaby tank? I can't recall if I tried it on yet – but I am thinking it wouldn't have as much compression as the clarity yellow? I think the regal plum is silky too — I will have to try on to see what the difference is. I called ontario store and they said they don't have any in yet – however Halifax does and they are futher east ?!? that is weird. Thanks for the update – I love your blog! And any word on the Ace line? My store was vague about it too….. I'm pretty sure my store did have the ace line but I was in a huge rush to grab my CRB's and go because I'm chaperoning a field trip this afternoon. Silky refers to the Heathered colors which are stretchier and have a smoother surface and not quite as cottony as regular solid colored luon. These ones are like the Heathered Lullaby CRB that was just uploaded a couple weeks ago. I have the Regal Plum and I find it more cottony than silky. I really don't like silky CRBs – I returned the Heathered Lullaby one for that reason. was there no upload for Australia? I wasn't sure if what is up was from last Monday – it all starts looking familiar after a while. There was but none of the items where really new to us. I'll post the few items later this afternoon. Any sign of the refresh maxi dress in stores? I'm guessing no new stuff in U.S. Stores today because of the holiday. Yes! My store didn't have it but Metrotown got it in the black/white stripe and black cherry. Any random chance you've seen some black cherry run times come in to your store (which also happens to be my store haha)? Hey, I haven't but I also haven't paid close attention. I'll check on Wednesday and let you know. You're wonderful! I have a small suspicion we'll see them on upload today.